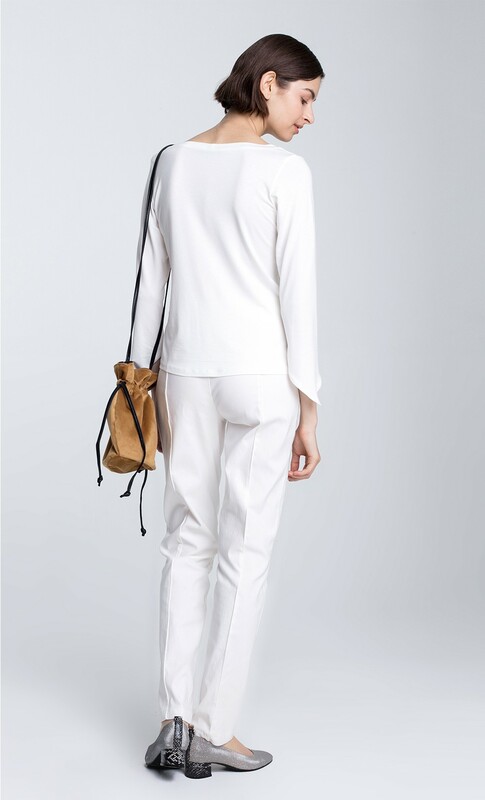 DORIN FRANKFURT has always had a thing for white pants and this season she's designed the ultimate pair. These straight-leg pants sit comfortably high on the waist and are finished with an elongating front and back seams. Team yours with our BALLERINA top for a pristine white look.